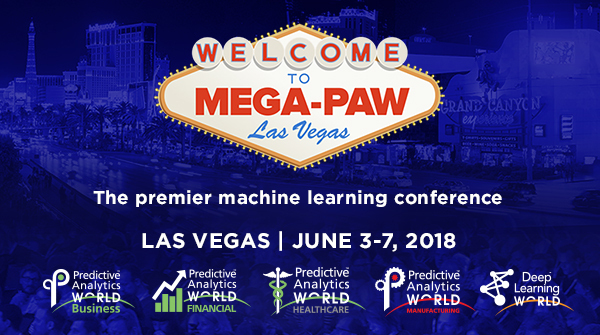 Don't miss the opportunity to witness keynote sessions by industry heavyweights at the upcoming Predictive Analytics World for Financial conference in Las Vegas. PAW Financial is the leading cross-vendor event covering the deployment of machine learning and predictive analytics for financial services. In this keynote, Northern Trust Analytics VP Dr. Francisco Azeredo will provide an overview on robotics, machine learning, and cognitive computing in the context of operation and process optimization. He will further discuss the benefits and challenges around implementing and maintaining machine learning-based systems.